The first black female singer-songwriter to enjoy major commercial success in her native Britain, Joan Armatrading’s career has so far spanned more than four decades. A dedicated artist who values her privacy offstage, she’s released 18 studio albums, obtained a litany of industry awards (including an Ivor Novello and three Grammy nominations), received an MBE in 2001 and still commands a devoted fanbase. Birmingham proudly claims Armatrading as one of its own, though she was actually born (as Joan Anita Barbara Armatrading) in Basseterre, on the Caribbean Island of Saint Kitts, in 1950. Her parents relocated to the UK with her five siblings when she was just three, but Joan stayed on with her grandmother in Antigua until she was seven, when she joined her parents in the Birmingham district of Brookfields. Much of this area has now been absorbed into Handsworth, the part of the city later immortalised by much-loved reggae act Steel Pulse on their landmark Handsworth Revolution LP. 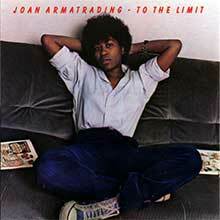 Music assumed an increased significance in Joan Armatrading’s life in her early teens. She initially set her self-penned poems and limericks to compositions she made on the old piano in her family home, but made greater strides when her mother acquired her an acoustic guitar from a local pawn shop – reputedly in exchange for two prams. Working up her own material, but keen to help support her family, Joan left school at 15 and began working a series of local jobs. Yet she wasn’t to be discouraged from performing. She first set foot onstage at Birmingham University, playing her own songs (and a cover of Simon & Garfunkel’s ‘The Sound Of Silence’) at the age of 16, before paying her dues the hard way: gigging locally in pubs and taverns and becoming accomplished on both guitar and bass. Armatrading’s first important break came in 1970, when she joined a local repertory theatre production of the counterculture-related stage musical Hair. While involved in this performance, she met a talented local lyricist Pam Nestor, and the two began working up songs together as a duo. Nestor and Armatrading had built up a repertoire of around 100 songs by 1972, when their early demos came to the attention of music publisher David Platz. Previously the co-founder of the Fly imprint, Platz had already made a mark in the industry, with Fly having been responsible for releasing hit 45s from The Move and John Kongos (the latter’s ‘He’s Gonna Step On You Again’, later famously reworked as ‘Step On’ by Happy Mondays), in addition to T.Rex’s breakthrough No.1 LP, Electric Warrior. At this point, Nestor and Armatrading had thought of themselves as a duo, though it was primarily Armatrading’s highly expressive contralto vocal that attracted Platz and his new label, Cube. 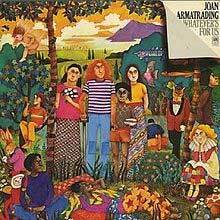 As a result, while Platz was keen to bankroll their first LP, 1972’s Whatever’s For Us, he released and marketed the album as Joan Armatrading’s solo debut, even though Nestor co-wrote all but three of the LP’s 14 songs. Cube spared no expense with Whatever’s For Us. Overseen by Gus Dudgeon (producer of David Bowie’s ‘Space Oddity’), the tracks were laid down at the rural French studio Château d'Hérouville, using session aces such as guitarist Davey Johnstone, Elton John percussionist Ray Cooper and Fairport Convention / otheringay drummer Gerry Conway. Broadly an accomplished folk-rock LP, the record featured tracks such as ‘City Girl’ and ‘It Could Have Been Better’, which later appeared on Armatrading’s anthology collections, and it received positive press on release in November 1972, with Mark Plummer’s review in Melody Maker even comparing Armatrading’s voice to Nina Simone’s. The LP failed to chart, however, and while Armatrading sang and played guitar on all the tracks, Pam Nestor was conspicuous by her absence, despite co-writing 11 of the 14 songs. This led to tensions which resulted in Armatrading and Nestor dissolving their writing partnership. Armatrading thus made her first appearance as a solo artist in late 1972, at London’s renowned Ronnie Scott’s Jazz Club. This was followed by a residency at the same venue, a solo tour of US folk clubs, and a two-week tour supporting José Feliciano in 1973. Armatrading was, however, keen to free herself from her Cube contract after Whatever’s For Us’ uncomfortable pregnancy, and she signed to A&M for 1975’s Back To The Night. Though it again missed the Top 40, the record featured a far stronger collection of songs, with highlights including the sensitive, Moog- and piano-driven ballad ‘Dry Land’, and two fine, jazz-inflected numbers, ‘Cool Blue Stole My Heart’ and ‘Come When You Need Me’. 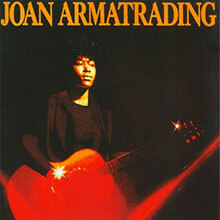 The LP was promoted by a well-received tour featuring Armatrading backed up by a jazz-pop sextet, The Movies (who also recorded for A&M and CBS), but her commercial breakthrough came with the following year’s Joan Armatrading. Featuring a clutch of Armatrading’s most resonant vocal performances, the LP had a more mainstream rock/pop sound and it benefitted from a crisp, punchy production from highly regarded studio wizard Glyn Johns ( The Who; The Rolling Stones). The glorious ‘Save Me’ and the country-flavoured ‘Down To Zero’ were among its many highlights, but, for most, the album’s touchstone was the feisty, string-kissed ballad ‘Love & Affection’, which provided Armatrading with her lone UK Top 10 hit. The critically acclaimed parent album also charted highly, rising to No.12 in the UK Top 40 and earning Armatrading a gold disc in the process. 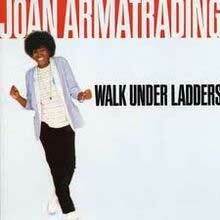 The success of her eponymously titled third elevated Joan Armatrading to the ranks of rock’s leading female artists and she released a string of big-selling discs in its wake. Again produced by Glyn Johns and charting in the UK Top 10, 1977’s gold-certified Show Some Emotion once more spawned a pair of memorable, radio-friendly singles in ‘Willow’ and the popular titular song, while 1978’s To The Limit (UK No.13) included a couple of glorious ballads (‘Baby I’; ‘Your Letter’) and the playful, reggae-tinged ‘Bottom To The Top’. The release of 1979’s 9-track live LP, Steppin’ Out, meanwhile, showcased Armatrading at the peak of her powers onstage. Positively received by the critics on release, Steppin’ Out garnered further critical reappraisal when it was granted an expanded DVD reissue in 2004, featuring two complete concerts, filmed and recorded in Cologne and Essen, for German TV channel WDR, in 1979 and 1980, respectively. Armatrading scaled her commercial pinnacle, however, with 1980’s Me Myself I. Helmed by former Blondie producer Richard Gottehrer, the album featured contributions from guitarist Chris Spedding and saxophonist Clarence Clemons, the latter on loan from Bruce Springsteen’s E Street Band, and the results were notably rockier than anything Armatrading had previously released. The LP’s title cut (which provided her second UK Top 30 hit) was a riff-heavy, new wave-style number, while the album also included a clutch of polished pop-rock numbers, including ‘Ma Me O Beach’ and the infectious ‘Is It Tomorrow Yet?’, as well as the yearning ballad ‘All The Way From America’, which harked back to her folksy early days. The record’s upbeat, radio-friendly approach did the trick on both sides of the Atlantic, with Me Myself I reaching No.5 in the UK (going gold in the process), but also climbing to an impressive No.28 on the US Billboard 200. A similar cycle of critical acceptance and commercial success greeted Armatrading’s next two LPs, 1981’s Walk Under Ladders and ’83’s The Key. Again buffed up to a radio-friendly sheen by Steve Lillywhite’s bright, no-nonsense production, the former consolidated on the ground gained by Me Myself I and yielded two minor UK hits, ‘No Love’ and the optimistic ‘I’m Lucky’. It also won a fifth gold disc for Armatrading, charting at No.6 in the UK Top 40. The Key, though, was a smidgen more adventurous, taking in Stax-style horn arrangements, R&B and even the aggressively punky anthem ‘(I Love It When You) Call Me Names’, featuring a wild, squealing guitar solo from David Bowie/Talking Heads alumnus Adrian Belew. On the strength of the brash, catchy UK Top 20 hit ‘Drop The Pilot’, the album gained another gold certification and went to No.10 on the UK Top 40. Though The Key would be Joan Armatrading’s last gold-selling album until A&M’s self-explanatory greatest hits set, The Very Best Of Joan Armatrading (1991), she subsequently recorded a string of critically acclaimed LPs, all of which charted in the UK Top 30 and gained silver certifications. Produced by Mike Howlett ( OMD; The Comsat Angels), 1985’s Secret Secrets was an eclectic outing, veering from the crunchy, anthemic title cut to the jazz-inflected ‘Talking To The Wall’ and ‘Persona Grata’: a sweeping, arena-sized rock epic with swooning strings. 1986’s Sleight Of Hand, meanwhile, was a well-crafted, self-produced affair (and the first LP recorded at Armatrading’s own Bumpkin Studio) and ’88’s stripped-back The Shouting Stage included cameos from Dire Straits’ frontman Mark Knopfler and Big Country drummer Mark Brzezicki. Despite a slightly lower profile in the marketplace, Armatrading also released a bunch of highly commendable LPs during the 90s. While the UK Top 40 was inundated with indie-dance remixes, 1990’s Hearts & Flowers was a solid, but largely unsung set that charted at No.29, while ’92’s Square The Circle (UK No.34) proved to be her final release through her long-standing label, A&M. Co-produced by David Tickle ( Blondie/Department S), 1995’s What’s Inside was Armatrading’s only LP for her next label, RCA, and – to date – is her final major-label release. An elegant and mature collection featuring string arrangements from the London Metropolitan orchestra, What’s Inside included tempting, jazz-flavoured tracks such as ‘In Your Eyes’, along with two blues numbers (‘Back On The Road’ and ‘Lost The Love’) prefiguring Armatrading’s 2007 LP, Into The Blues. Yet, despite this dynamic, beautifully realised material and shoulda-been hit single ‘Can’t Stop Loving You’, What’s Inside mystifyingly stalled at No.48 on the UK Top 75. Armatrading stayed out of the public eye for a while, but she re-emerged in the new millennium and has since delighted her substantial fanbase with new releases and regular touring. She played most of the instruments herself on 2003’s poignant, assured Lover’s Speak (released through the Denon imprint), which was hailed by the critics as her best album for years. It was followed in style by 2007’s Into The Blues: an accomplished modern blues LP that debuted at No.1 on the Billboard’s Blues Chart. Nominated for a Grammy Award in 2008, Into The Blues attracted a slew of enthusiastic critical notices, with Record Collector moved to describe it as “the most complete portrait yet of an often underrated singer-songwriter”. With her profile at its highest since her 80s heyday, Armatrading was much in demand once again; turning in a critically hailed performance on Later… With Jools Holland and sharing the stage with Cyndi Lauper on the latter’s True Colors tour of 2008. Armatrading has since released two further critically lauded studio sets. Promoted with an extensive international tour, including a rapturously received date at London’s prestigious Royal Albert Hall, 2010’s folk-rock-inspired This Charming Life peaked at No.4 on the US Billboard Folk Albums chart, while, for 2012’s jazzy Starlight, Armatrading undertook a 56-date UK tour wherein she invited 56 local singer-songwriters to open for her in their respective home towns before the tour’s main support, English folk musician Chris Wood, took to the stage. Though she has confessed on her own website that she will “never retire”, Joan Armatrading announced in October 2013 that the solo tour she was about to embark on would comprise her last ever major bout of gigging. Though her devoted fanbase were understandably saddened, the dates have since morphed into a remarkable trek which has continued for almost two years, with Armatrading gigging in territories as far flung as South Africa, Oceania, Scandinavia and North America, as well as several lengthy trawls around the UK. Delving deep into one of pop’s most remarkable songbooks, Joan Armatrading has performed these dates with just piano, guitar and her instantly recognisable voice, thrilling audiences and playing in front of packed houses virtually every night. She has already succeeded in her quest “to capture a unique memory for both myself and audience” by undertaking this astonishing run of shows, and if it does prove to be her final lap of honour, Armatrading leaves the building with applause ringing in her ears, and her singular reputation very much intact. Joan Armatrading's eponymous third album is a charmer, almost single-handedly elevating her into the ranks of rock's leading female artists. Up to this point, Armatrading had shown that she had a lovely voice and an ear for interesting arrangements, but her work had been steeped in the folk idiom of the early '70s. Her third album changed all that, with producer Glyn Johns bringing in members of Gallagher & Lyle, Fairport Convention, and the Faces to punch up her folksy sound with elements of rock, country, and disco. The result is her most muscular music to date, with Armatrading adopting a swagger that showed her tales of unluckiness in love didn't have to have dire consequences ("Tall in the Saddle," "Water With the Wine"). Of course, it helped that the record featured her best material delivered in a wonderfully expressive voice that can capture the shades between song and speech like a sweeter version of Ian Anderson. "Down to Zero" (which features pedal steel guitarist B.J. Cole) and "Love and Affection" are the album's most memorable tracks, the latter breaking into the U.K.'s Top Ten (the album itself made the U.K. Top 20). But what endears this record to fans is the quality of each song; it wouldn't be fair to call anything here filler. The artsy and eclectic "Like Fire," the beautiful ballad "Save Me," and the ingratiating melodies of "Somebody Who Loves You" are just as likely to strike a chord with listeners as the better-known cuts. 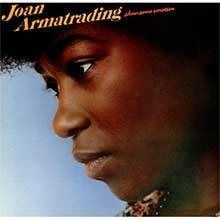 While Glyn Johns deserves credit for bringing Joan Armatrading's songs into a more flattering setting -- it's not coincidental that the record feels like a polished version of The Who by Numbers -- his real stroke of genius was letting the artist flower to her full potential. For many, this album remains the high point in her catalog. Retaining producer Glyn Johns and some of the same session players from her last record, Show Some Emotion repeated that album's chart success and included two more terrific singles in the same vein: "Show Some Emotion" and "Willow." However, the rest of the album sounds like outtakes from that effort. Gone is the smooth, honeyfied flow of Joan Armatrading; the lyrics seem to lack a sense of meter, the songs occasionally rely on pedestrian R&B arrangements to move them along, and the buoyant melodies are few and far between. Part of the problem stems from poor track placement; the vulnerable "Woncha Come on Home," which would have worked well at the end of side one or two, is an awful choice as the opening track. Placing the similar-sounding "Mama Mercy" and "Get in the Sun" next to each other suggests that Armatrading even had trouble coming up with filler, and waiting until the end of the album to unleash the energetic "Kissin' and a Huggin'" leaves the listener all charged up for nothing. While the title track and "Willow" are good enough to justify the album purchase alone, they're available on any number of compilations. Without them, Show Some Emotion lacks any must-own material, although the aptly titled "Warm Love," "Kissin' and a Huggin'," and the compelling "Opportunity" are worth hearing. On the trio of albums that made her reputation in 1976-1978, Joan Armatrading, Show Some Emotion, and To the Limit, Armatrading relied on the pristine production of Glyn Johns to underscore the sensitivity of her folk-based confessional songs. Here, on her first full-length album in two years, she turned to rock producer Richard Gottehrer and a session band that included Anton Fig, Chris Spedding, and members of the E Street Band, making her case for being a mainstream rocker. The songs were less serious, too, notably the title track, a U.K. hit. (The album's other British chart single was the ballad "All the Way from America," which was more in the style of her earlier work.) The result was the best selling album Armatrading has ever had in either the U.S. or U.K. Dominant keyboard lines and the characteristic fat percussion approach of producer Steve Lillywhite completed Armatrading's transformation from folky to new wave diva on this album. Still, it was songs like "The Weakness in Me" to which old fans responded, although the U.K. hits were "I'm Lucky" and "No Love." Another British Top Ten, the album was less successful in the U.S., consolidating Armatrading's expanded following without propelling her to major stardom. The good news is that, after several albums of flirting with rock and overproduction, Joan Armatrading has developed a spare sound once again focusing on her songs and singing, backed by such tasteful accompanists as Dire Straits members Mark Knopfler and Alan Clark. The not-so-good news is that, lyrically, Armatrading seems trapped in a romantic cul-de-sac -- when she doesn't have the object of her affections, she longs for him, but when she does have him, she argues with him and suspects him of infidelity, not to mention emotional abuse. There is a traditional sense of relationships mixed in with hints of the nascent "men just don't get it" flavor of '90s feminism. One is tempted to say that you can't have it both ways, but then Armatrading's emotional outpourings have always had more to do with contemporaneous honesty than long-term consistency. Many of the same musicians from Walk Under Ladders return for The Key, but gone are that album's warm island airs. Instead, producer Steve Lillywhite wraps -- some might say smothers -- Armatrading's voice in sophisticated synthesizers (courtesy of Larry Fast) and punchy rock arrangements that are enervating but less inviting than her earlier work. That more aggressive sound didn't come at the cost of commercial success, however, and both "(I Love It When You) Call Me Names" and "Drop the Pilot" (the latter produced by Val Garay) helped push The Key into the U.S. Top 40. Armatrading has always been an excellent communicator, and when given the spotlight -- as on the otherworldly "I Love My Baby" or the sinister "The Dealer" -- she is one of rock's more compelling female artists. Yet the decision to bring Tony Levin's bass up in the mix and find time for Adrian Belew's frenetic solos sells Armatrading's estimable talents short on some tracks. Thankfully, her humor and humanity rise above the arrangements at welcome intervals, notably with "Everybody Gotta Know," "What Do Boys Dream," and "Foolish Pride." Fans of her acoustic music may find The Key a little too aggressive for their tastes, but anyone open to modern rock should enjoy this album. 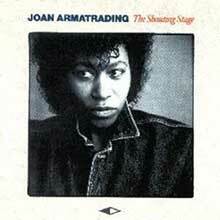 Joan Armatrading's debut album is all but co-credited to Pam Nestor, who co-wrote 11 of the 14 songs and whose picture and bio appear on the album jacket. (She doesn't perform on the record, however.) Since Armatrading dispensed with the collaboration on later albums, a comparison is instructive. 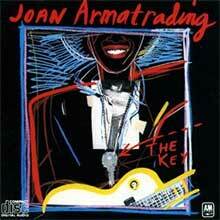 On these relatively short songs (averaging about 2:45), Armatrading is more outward-looking than on her later songs. Much of her work is done in close-ups, but many of the songs on Whatever's For Us pull back from the "I-you" focus of subsequent efforts to take in the family, especially, and the world at large. Granted, neither is viewed positively, at least in the formal sense. The title character in "Head of the Table" is "stern and strong," although the less traditional grouping in "My Family" is viewed more benevolently. The world in general, meanwhile, is "semi-mad" ("Mean Old Man") and contains "such a lot of pretense" ("City Girl"). In this context, the best the singer can do is to be wary in looking for love. For the album, Armatrading used some of Elton John's brain trust, including producer Gus Dudgeon, guitarist Davey Johnstone, and percussionist Ray Cooper, and especially when she plays piano, the resulting sound is not unlike an early John album such as Tumbleweed Connection, albeit with Armatrading's choked alto in place of John's husky tenor. Dudgeon adds occasional string and horn charts, but wisely keeps the focus on the singer and her songs. Two years having passed since her last studio record, Joan Armatrading re-emerged with yet another producer (new wave veteran Mike Howlett) on Secret Secrets. Some of the material on here is very good, but the commercial momentum that had built up behind her during the early '80s was beginning to dissipate. The singles "Temptation" and "Thinking Man" are as catchy as "Drop the Pilot," and the message is more mature and upbeat this time, but the songs failed to make much of an impact in the U.S. It's hard to fault the music for the drop in commercial interest; Howlett's atmospheric production (honed during his work with bands like Berlin and OMD) is in line with the musical tastes of the mid-'80s. However, longtime fans will begin to notice some cracks, notably that Armatrading's voice is no longer the commodity it once was. "Strange" is the kind of ballad Armatrading would have owned a few albums ago, but here her voice strains to command the material. Musically, her acoustic guitar is completely lost in the mix (a disingenuous harmonica solo on "Moves" isn't so lucky), while labelmate Joe Jackson is brought in to play piano on the ballad "Love By You," a role normally reserved for herself. As a songwriter, Armatrading hasn't lost a step: "Talking to the Wall," "Persona Grata," and "Secret Secrets" are sure to strike a chord with fans. And the backing musicians are again exemplary, especially Pino Paladino (on fretless bass), Adrian Lee (on synthesizer), and a perky horn section that includes Steve Sidwell and Dave Bitelli. Yet the album does mark a slight decline in the quality (and quantity) of Joan Armatrading's music, even if the root of trouble isn't a lack of what to play but whom to play to. Of interest, the album's photography was done by Robert Mapplethorpe, which took some guts on Armatrading's part. To the Limit is a more fitting follow-up to the self-titled Joan Armatrading, as it returns to that album's catchy melodies and fully fleshed-out arrangements. Again, the backing band is almost entirely new to Armatrading, retaining only the rhythm section of Dave Markee and Henry Spinetti from past efforts, but instead of sounding tentative, the band infuses the material with bright and natural music. Although the record doesn't contain any hits -- "Barefoot and Pregnant" and "Bottom to the Top" were the singles -- it doesn't suffer from the dips in mood and quality that made Show Some Emotion less than satisfying. Nothing on To the Limit is obvious filler, and the intelligent track placement -- alternating ballads and rockers -- gives the songs a chance to develop their own identities. Picking the best tracks on this album is sure to be a matter of taste; fans of Armatrading's ballads will enjoy "Your Letter" and "Baby I," those enamored of her island melodies will find them on "Barefoot and Pregnant" and the reggae-styled "Bottom to the Top," and anyone looking for crossovers into blues and jazz can turn to "Am I Blue for You" and "You Rope You Tie Me." The only knock on this album is that it lacks a real standout song like a "Willow" or "Love and Affection" -- nothing on To the Limit is great, but nearly everything is good. One could make a case for something as contagiously catchy as "Taking My Baby up Town," but even that falls shy of her most enduring singles. For this reason, To the Limit is rarely represented come compilation time. Ironically, it's one of her better albums, a good bet for fans who enjoyed her eponymous effort and aren't ready to jump into the rock sound of subsequent albums. 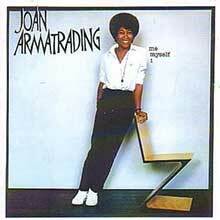 It was an unusually long time before A&M released a second album from Joan Armatrading, Back to the Night. Produced by Vinegar Joe guitarist Pete Gage (and featuring that band's Steve York on bass), the record is something of a transitional work between the singer/songwriter folk of her first album and the warmer melodies of her breakthrough eponymous effort. While it's not a markedly better record than Whatever's for Us, there are some appreciable differences. Most of the songs are written by Armatrading herself -- only two are carryovers from her collaboration with lyricist Pam Nestor -- which places the emphasis on matters of the heart. And it's on this record that glimpses of the greatness to come appear: the upbeat island feel of "Travel So Far," the powerfully intimate "Dry Land," and the inventive melodies of the title track. The Joni Mitchell comparisons still hold, but here Armatrading leans toward the jazzier side of that artist on tracks like "Come When You Need Me" and "Cool Blue Stole My Heart." Unlike her last producer, Pete Gage allows more of Ms. Armatrading to shine through. The backing musicians are again an accomplished lot, including members of Cat Stevens' band and a pre-Police Andy Summers, but there are no precious string arrangements. While this often gets lumped together with her last record, Back to the Night is a better bet to please fans of her subsequent work, though fans who pass on both won't be missing any essential hits.